These exclusive seats are wide and comfortable and the amenities are world class - like everything else at the Amway Center. But the courtside and ultimate seats offer something you can't get anywhere else: intimate access to the blood-pumping, rebound-grabbing, slam-dunking action of NBA basketball. This is your unique chance to get in the game. You can't get any closer than this without a uniform and a world-class jump shot. 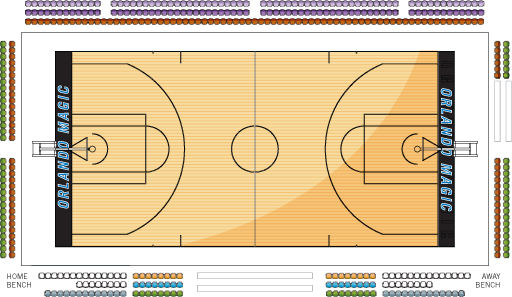 Amway Center only offers up to three rows of courtside seats. *Availability per show based solely on promoter. 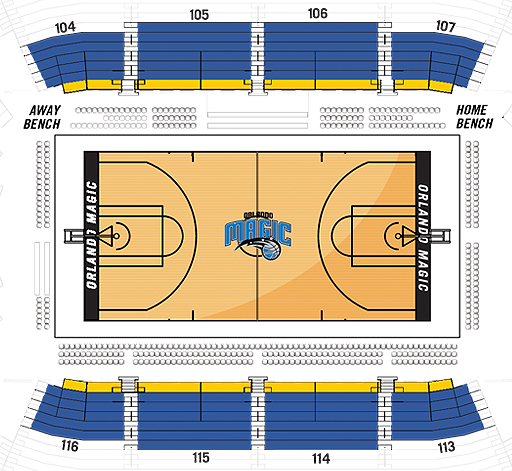 For more information on the courtside and ultimate seating please call 407.89.MAGIC, option "5."